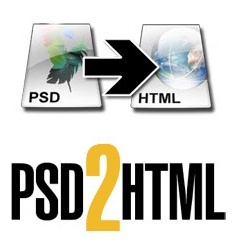 PSD2HTML :: Internet Services :: PRO IT Service S.R.L. - Choose a professional and accessible service for your online image! Have you designed your Web site layout in Photo Shop and you would like to have somebody code it for you in Web site format? Look no further! We're hand coding Web sites since 1997 and so we have over 22 years experience in this business. Things changed over the years. At the moment we're hand coding web site templates using XHTML v1.0 Transitional in combination with CSS v3 (or v2). Send us your design (in photo shop format or other) and we will hand code it for you as soon as possible in xhtml/css table less format. Since we have experience with the most popular browsers weaknesses, we will carefully code your project so that your Web site will look the same no matter what browser your Web site visitors will be using. You are going to use this project on the web and so it is important to have your Web site compliant with what search engines are looking for in order to rank better a Web site. Based on our experience, we will be coding your Web site layout following the search engine optimization guidelines. As we're coding your Web site by hand, the source code will be so clean hat you could even follow it yourself. We aren't using web design tools that place a lot of useless stuff (garbage), but use our knowledge and place each and every coding line there with care. This will assure in one hand that your code is as short as possible, and on the other than it is written in such a way that any web developer will be able to operate with it easily. Nevertheless we're hand coding your project, it will be validated against the W3C (World Wide Web Consortium) programming languages specifications. Before delivering the project to you we are going to double-check this and make sure the coding is 100% compliant with these quality standards. Send your PSD file today and you will get a professionally coded Web site layout.